It has a superb flavour: strong and powerfully nutty, with a lingering touch of sweetness. A little goes a long way. Finely grate into a crusty baguette, sprinkle over a pizza or jacket potato, or layer over toast or roasted veg and grill until golden and bubbling. Prefer something more mellow? Try Greens of Glastonbury’s farmhouse cheddar. Prefer something more mellow? 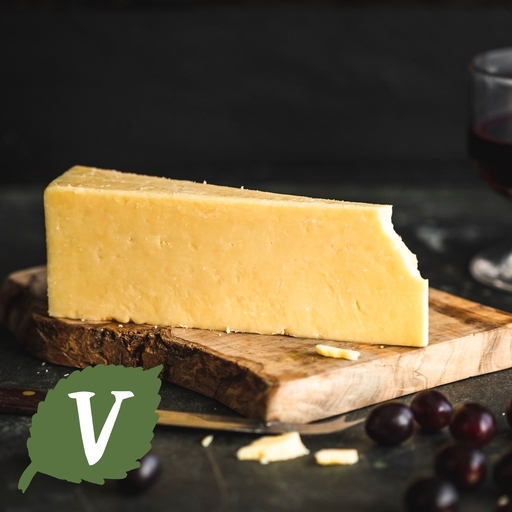 Try Greens of Glastonbury’s mature cheddar.